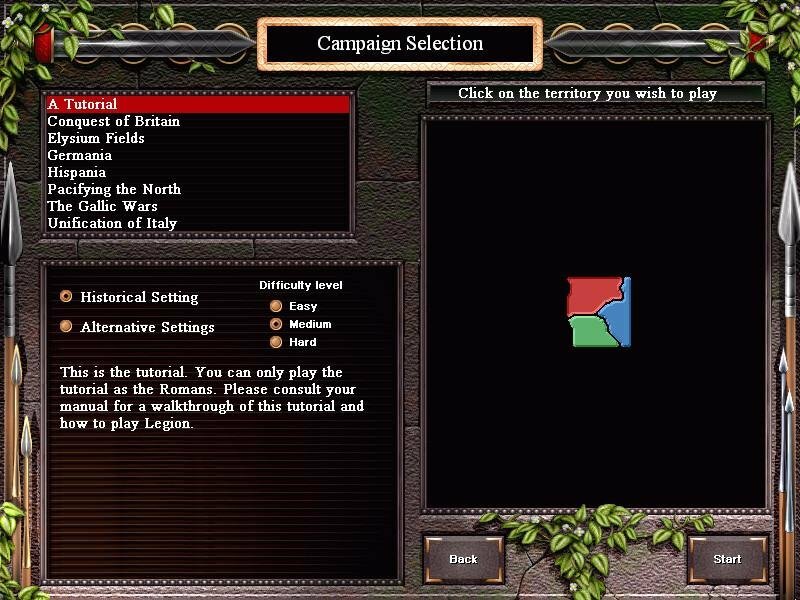 Legion is very much Rome: Total War if it were made in 2D. 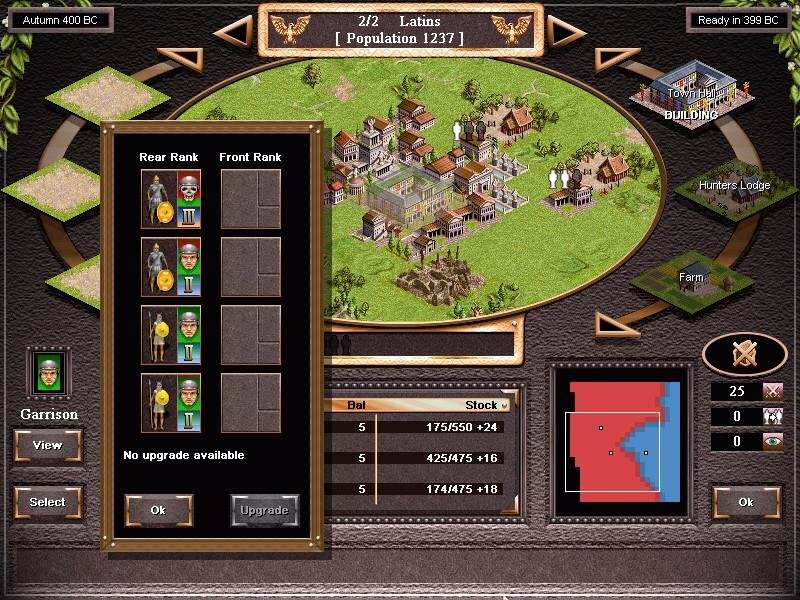 Not only is the setting the same, but it also retains Total War’s turn-based gameplay and focus on building up your towns, stocks of units and eventually your empire as you expand outside your home borders. 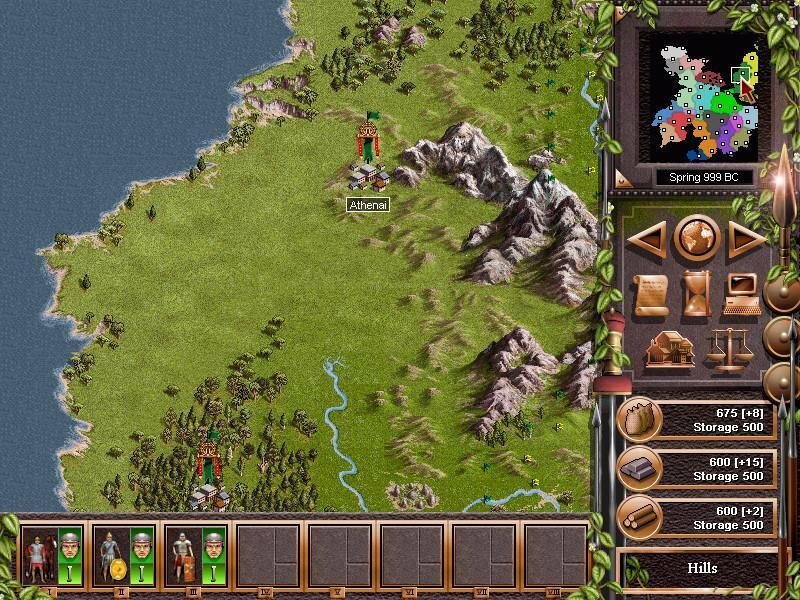 Balancing resources while you build up your towns and armies are equally important – you can use diplomacy to keep your list of enemies manageable (perhaps even going to the trouble of forming alliances) while you stockpile on the game’s three major goods – food, ore and wood. The addition of these three resources are what really differentiates this game from Total War (aside from the graphics, of course). 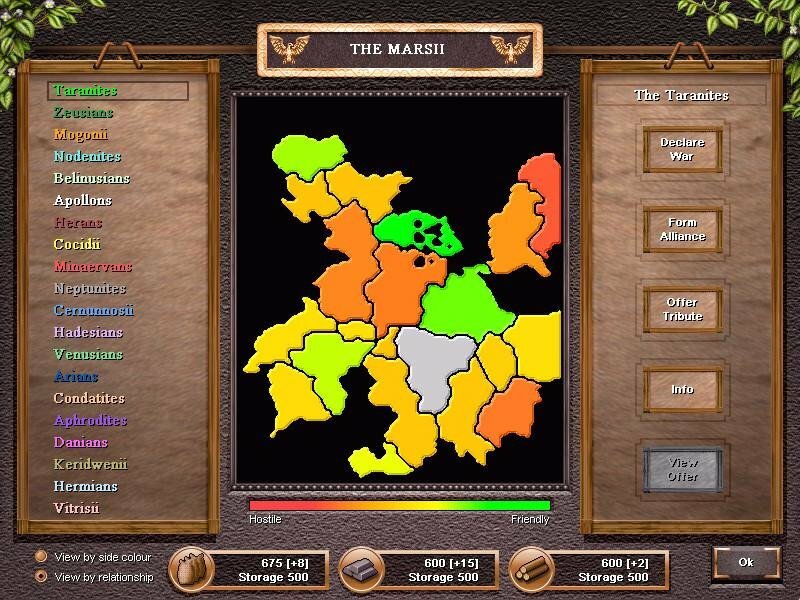 Each town is assigned an efficiency rating in producing these goods, and running low on any one of them can really put a dent in your production schedule. 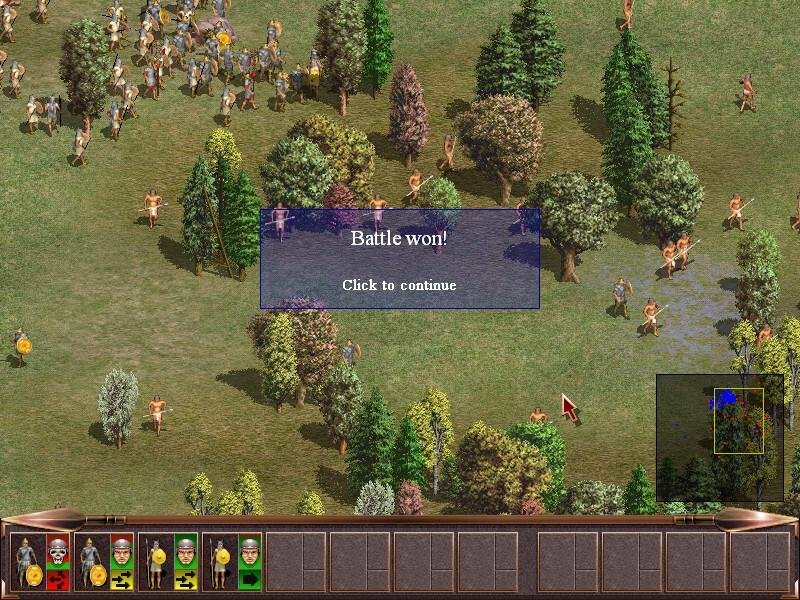 Battles are real-time but, surprisingly enough, don’t involve actual real-time management. 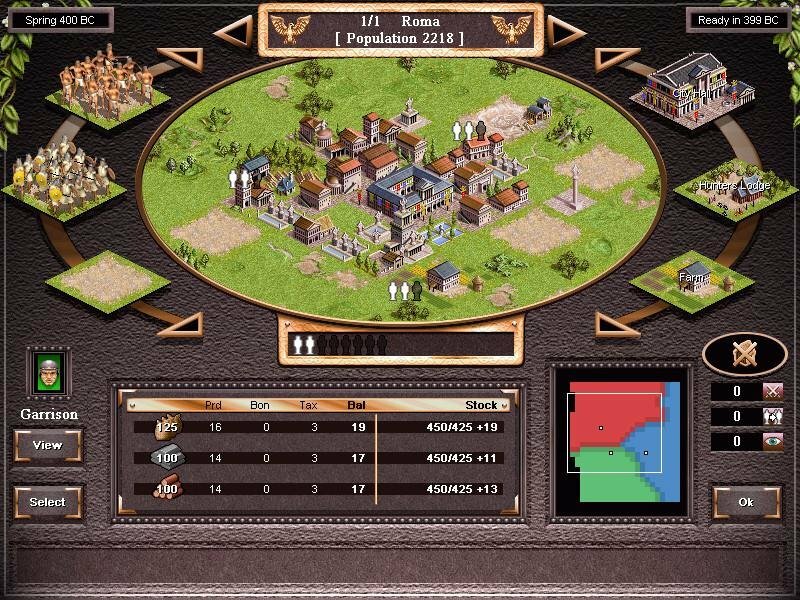 You instead assign placements and a general battle plan for your troops to follow, unleash them, and hope for the best. 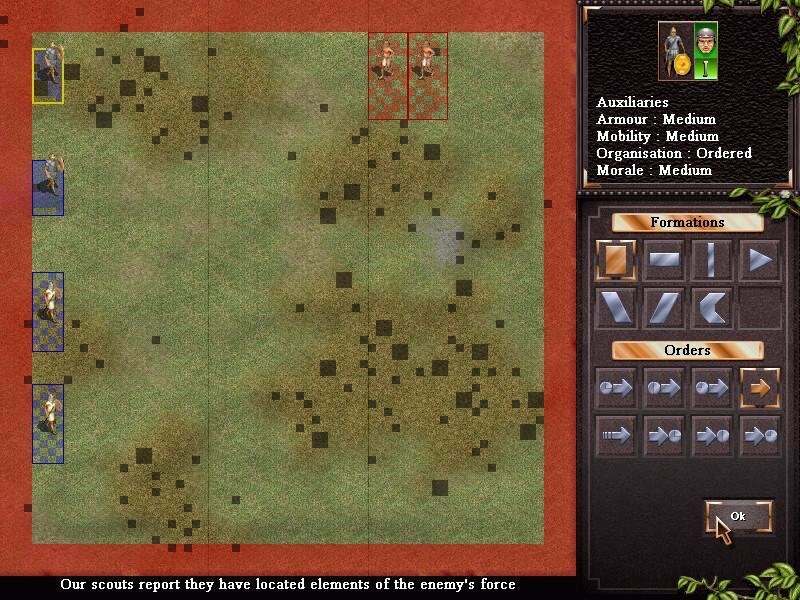 This makes combat a bit of a headache, since you can’t assign orders for your troops on the fly to take advantage of new developments. 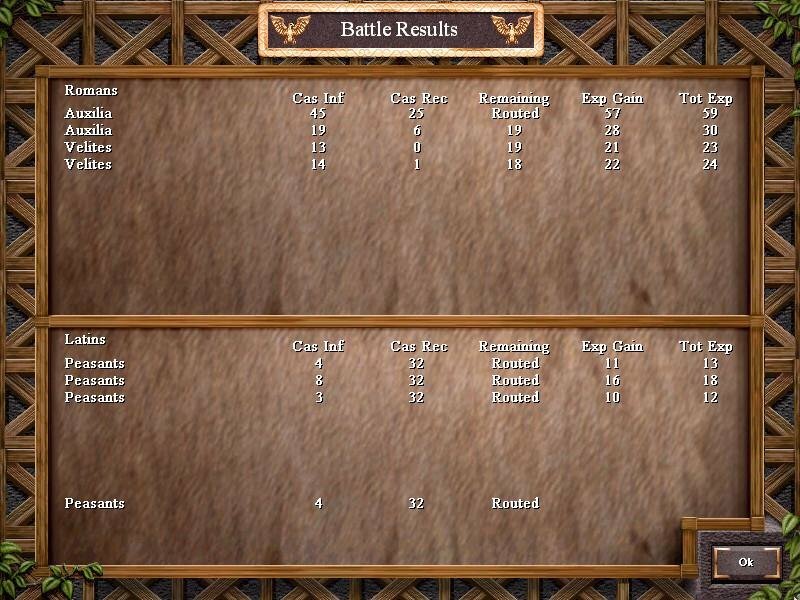 Lastly, there are no sieges or navies to speak of – huge downers for this sort of game. One last issue would be the lack of multiplayer, a real shame considering the huge number of maps, units and factions that players control. 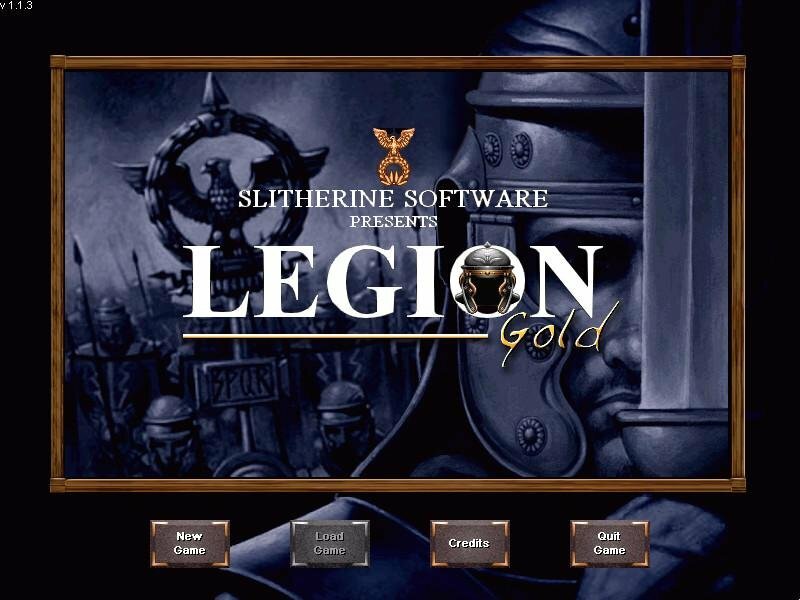 But make no mistake – despite being an imperfect Total War clone, Legion has enough accessible strategic depth to keep fans of this sort of game expanding their frontiers. I can’t get it to start after installing, it just shuts down when i press play. Anyone know why, or have a crack? 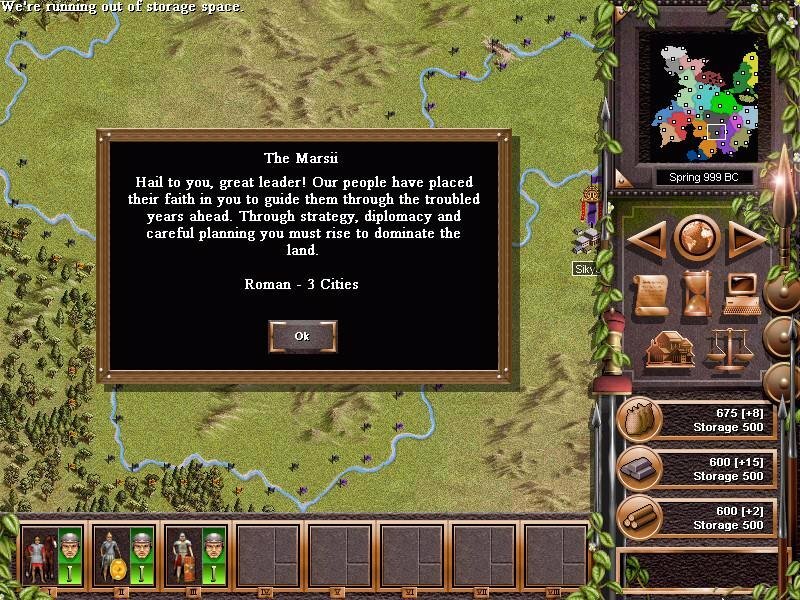 Rome: Total war came out 2 years after this game did, so it is in fact impossible for it to be a clone. 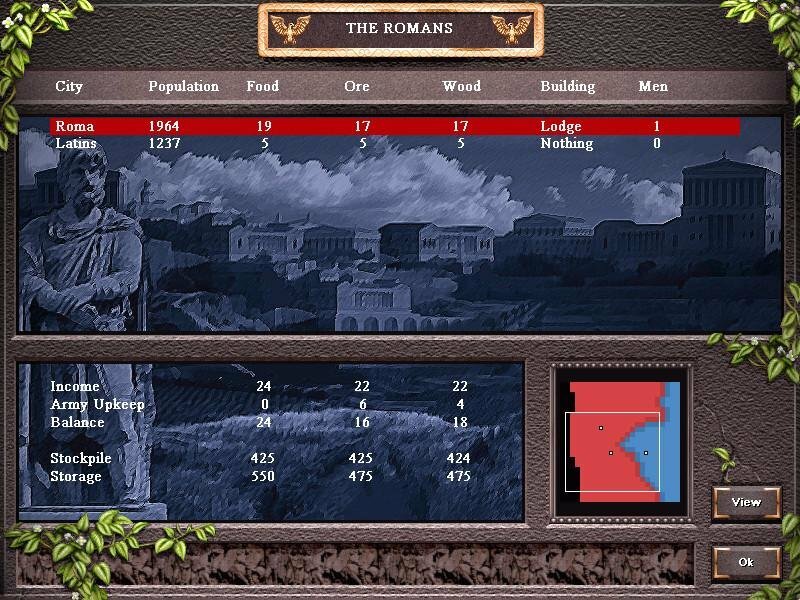 Rome Total War otherwise a great game, it doesn’t have the strategic aspect this game offered. That which is the uncontrollable battle. While I do agree that walking straight to the enemy is nonsense, it would be more appropriate to has predefined tactics rather than allowing players to control their squads. 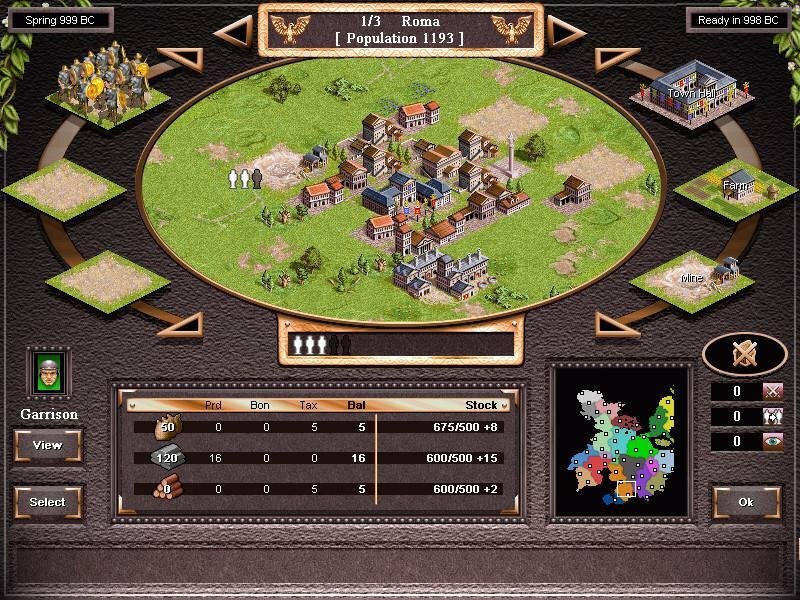 Not only that would make a strategy game a tactical game, but it also makes AI much easier to beat. 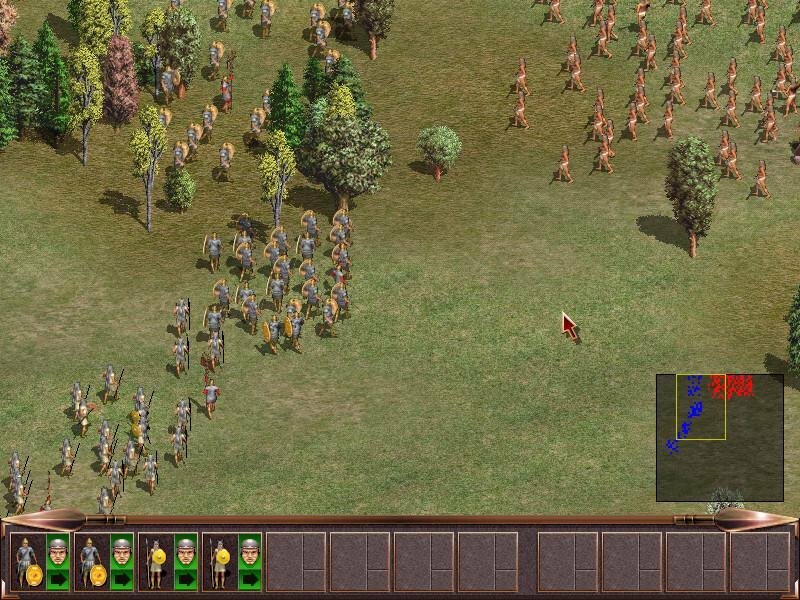 Then they would have to resort to heavy resources buff strategy to keep the AI competent, and that should give the game a new tag “Real-Time Tactical” game. Anyway, thanks for great uploads.